I don’t consider myself poor. I have a roof over my head. I have a dependable vehicle. My kids and I wear fairly nice clothes, even if all of mine have been purchased at WalMart with my associate’s discount card. But according to government statistics, my kids and I are living well beneath the poverty level. What a surprise there. Afterall, this is America. And who better to get the old shaft than single, working mothers and their children. Hey, and to make matters even better, New York State has just taken our Family Health Plus medical insurance away from my children and I. And why, you might ask? Because we have the audacity to earn a whopping $13.00 over their “income guidelines”. Although, they did in all fairness, take into consideration the income my 18-year-old, full-time student earns at our local Lowes store. So basically the government rewards you for working by taking away any assistance they may have available. Apparently you have to be eating dog food out of a can before Uncle Sam gives a crap about his family. But, I digress. This was meant to be a post about cooking on a shoe string budget. What the hell does that mean anyway? A shoe string budget?………. ……Okay. I’m back. I just looked up the origin of “shoe string budget” and according to “ask yahoo” they can only surmise it goes back to the days when shoe strings cost only 50 cents, which is dumb because alot of things cost 50 cents a long time ago. I’m living on a loaf of bread budget, a roll of toilet paper budget, oh…I got it…a can of dog food budget. So, before resorting to eating dog food out of a can I’ve come up with some of my own cheap meals on a shoe string that I’d like to share. You may have already thought of them or you may not. But I submit them to you all the same. Hamburger helper. I’m sorry, but it’s still expensive considering you still have to purchase the most expensive ingredient, the meat. It’s not even a real time saver. I have my own cheap and easy version. I buy a small roll (yes a roll) of ground beef (or if you can get it past the kids try ground turkey, it’s even cheaper) and a box of family size Banquet frozen macaroni and cheese. The ground beef costs less than $3.00 and the macaroni and cheese is under $1.00. I fry the meat and while that’s cooking I cook the mac and cheese in the microwave. I add the spices we like (adobo, garlic powder, onion powder, salt and pepper) to taste, toss in the mac and cheese and then add a vegetable. Corn is usually the veggie of choice since it’s the one everyone actually likes. So, basically you’ve made a meal in mere minutes at a cost of less than $5.00. Taking that recipe and running with it I make a variation with cubed ham. That’s about the same cost as the ground beef and takes even less time. And my scalloped potato and ham is just as easy and just as tasty. And, it’s all done in the microwave. I cut the potatoes into thin slices and put them in a pyrex plate (any microwavable container will do) with a small amount of water to steam them for usually no more than 5 minutes (depending on how many potatoes you’re cooking). Check for tenderness. Add cubed ham (or sometimes I get one of the big chunks of turkey ham at my local Save-A-Lot for under $4.00 and cube that) and cheese. I use whatever cheese I happen to have on hand. Velveeta works great because it melts so well. But cheese slices or shredded cheese works perfectly fine. No meal is complete without dessert. Ambrosia is delicious, easy and pretty cheap. All it is is cool whip (I get the low fat for about $1.50), a large can of mixed fruit (no syrup, heavy syrup, it doesn’t matter because you have to drain it anyway), mini marshmallows, shredded coconut, and nuts. Yum. I also make a mean chocolate cake in my bread machine. I get the cheapest box of cake mix (under $1.00) and a cheap can of frosting (under $1.50). My bread machine has a cake setting so it does all the work for me. Okay, so it looks a little funky when it’s done, but who cares, it still tastes delicious. To compensate for the loaf-y look I slice it in length-wise sections and frost each section to make a “tiered” cake. So there you have it. Some pretty easy, quick and cheap meals on a shoe string budget. And remember, no matter how bad things get and how hard it is to come up with cheap ideas and recipes to make a meal, never, ever resort to feeding your family spam. That’s just plain cruel. 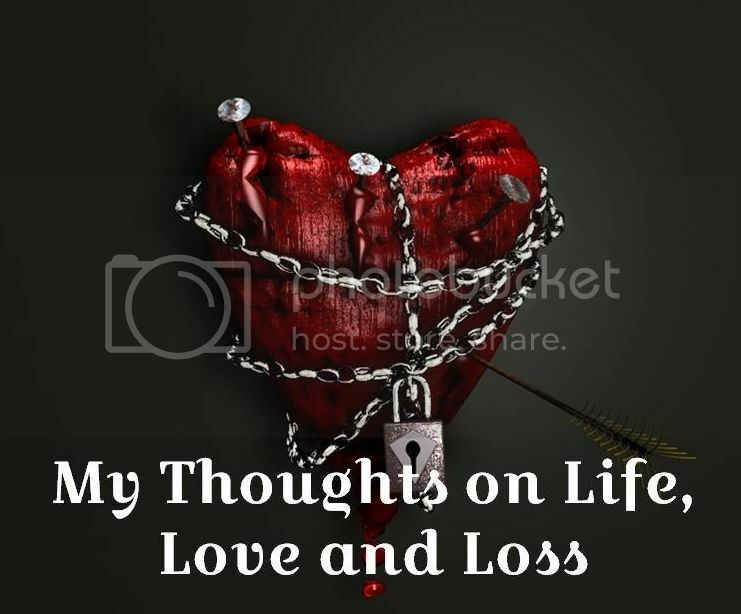 **This post and all others (including posts not published here) can be read on my new blogging site http://www.mylovesleftovers.com. Thanks for checking it out!